Preparing for that long-awaited job interview is vital to success. Learning about the needs and culture of the organization will make it easier to answer questions about your skills and abilities and allow you to demonstrate your value to the company. Join the Professional Support Group of Morris County on Wednesday, August 23rd, as Bill Belknap, Master Coach for the Five O’Clock Club, shares information about preparing for an interview. 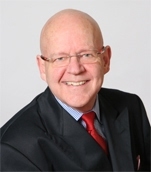 With 30+ years of senior management and human resources experience, Bill is a successful career coach whose clients include managers and executives who are working as well as those in job transition, in a variety of industries including high tech, medical cost containment and financial services. He is the co-author of For Executives Only…Applying Business Techniques to Your Job Search. On the personal side, Bill is an amateur magician and fitness enthusiast; he has completed more than 30 triathlons. He is a graduate of Denison University and is a 25-year resident of Ridgewood, NJ. Doors open at 9 am for networking, with the presentation to begin at 9:30 at the Parsippany-Troy Hills Public Library, 449 Halsey Road.